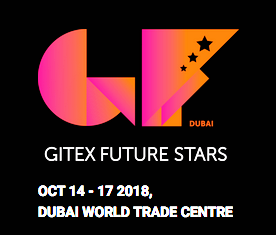 Satellite Vu will participate in GITEX Future Stars in Hall 5, POD L4 — this company is an Earth Observation (EO) firm that is preparing to provide a disruptive service that will enable governments and organizations to take on the challenge of plastic pollution that is detrimentally affecting the planet's maritime environment. GITEX provides a stage where Satellite Vu can engage with like-minded, enlightened potential partners. The company is also developing plans to open an office in the region and is actively seeking distributors and investors. Current available techniques are ineffective at tracking the movement of plastics due to cost and sheer amount of time taken to survey large areas. Moreover, existing methods do not deliver data frequently enough. Satellite Vu is set to transform the rapidity and precision of data and most importantly, to make it affordable and therefore accessible to countries and organizations that need help in addressing marine plastic pollution. Satellite Vu offers a sustainable solution that will address customers’ requirements through a new breed of satellites. The satellites will re-visit a target site every hour, throughout the day and night, and produce imagery regardless of the weather conditions so that constant, near-real time monitoring is possible. The company aims to launch seven multi-functional satellites that will produce high resolution infrared imagery, at less than 5 meters, which is interpreted and converted into timely data using unique algorithms that end-users can readily access. Data produced by Satellite Vu can also be overlaid onto other forms of data such as social media, mobile phone and proprietary information. This results in another layer of intelligence from which new business insights may be generated. 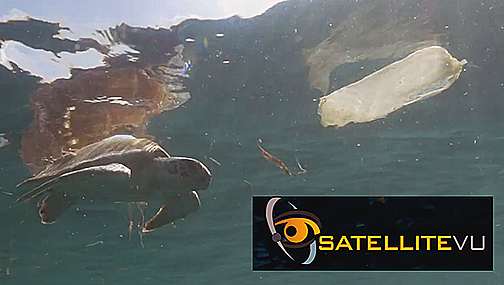 Anthony Baker, the CEO of Satellite Vu, said that the level of plastic pollution has reached epic proportions. To give some context to the situation, the Earth Day Network found that the amount of plastic produced in a year is roughly the same as the entire weight of humanity. This plastic is killing wildlife and has now entered the food chain. At GITEX, partners and investors are being sought to tackle this problem using Satellite Vu’s technology. This level of information is unprecedented. If one could see where the plastic is originating from, how it circulates and where it ends up, then the information is present to do something about it. That is why this technology is so important to the conservation of Earth's maritime environment.